What is the purpose of the 4 tread Cupped Feet Safety Step? 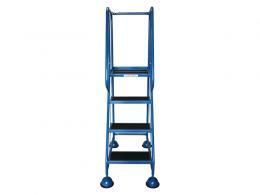 This light industrial step is perfect if you want a little more height than what is offered by your average stepladder. 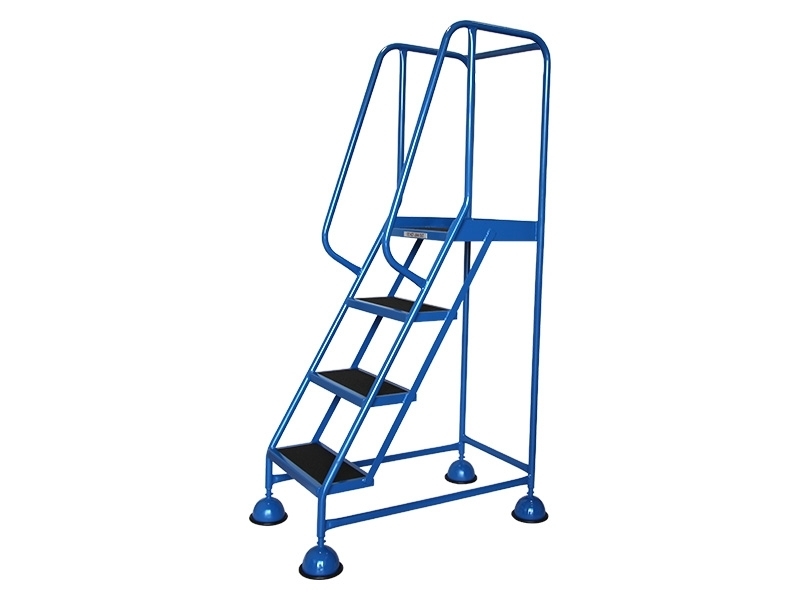 Like all of our safety steps and domed feet options, this item is carefully made and designed with reliability and safety in mind. Where can these Domed Feet Safety Steps be used? This 4 step glide along safety step can be used anywhere, from rough industrial environments, to schools, to homes, and more. Who might use this Mobile Safety Step? Anyone who wants a stable and dependable glide along with a medium height will love this product. If you want an item with superior stability that is still easy to move, then this is the item for you. 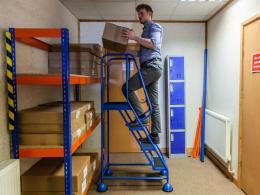 It has mobile steps which easily glide into position. The castors allow you to easily move this item anywhere without straining yourself, but then they retract when weight is put on the steps. When this happens, the protective domed cups grip the floor, providing complete stability. This grip system helps ensure your safety and prevent falls. This item has anti slip tread surfaces. 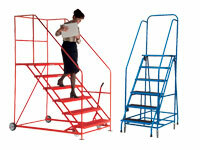 The maximum weight allowance for this item is 150kg, and it is designed to be used by one person. This 4 step glide along safety step is just one choice in an array of cupped feet options that we offer. If you are not sure which size is right for your workplace or home, please let us know. We are committed to our customers, and we are happy to help you find the perfect item for your home or business. At The Workplace Depot, our goal is to provide top quality and affordable items to you, so that you can have the most effective workspace possible.